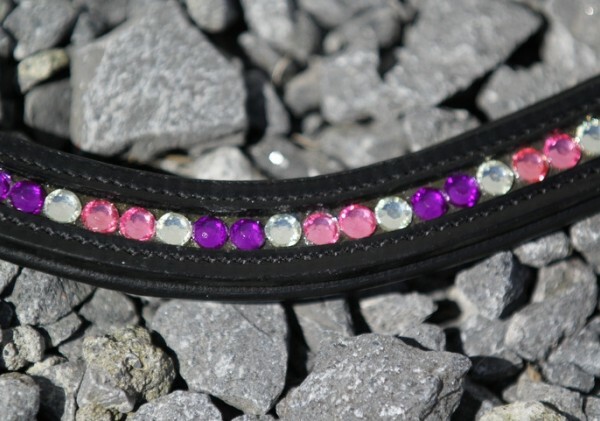 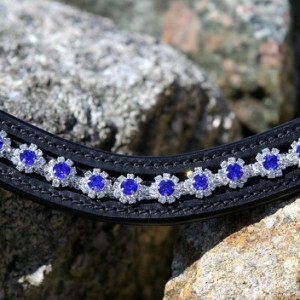 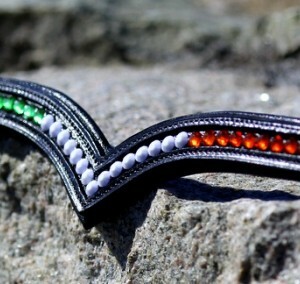 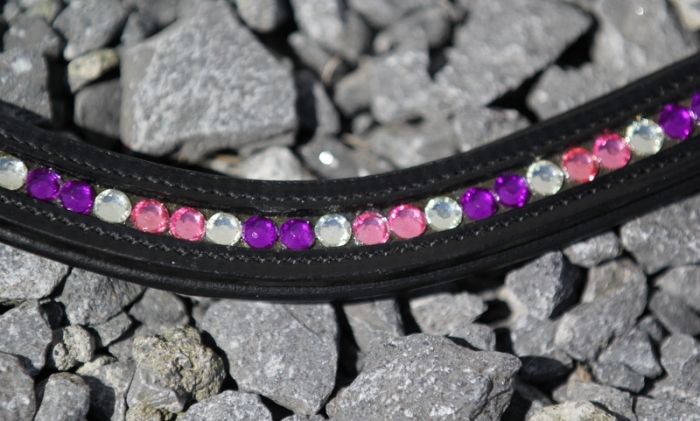 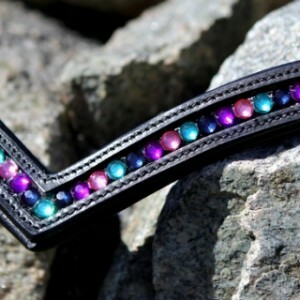 This is a beautiful bling browband made out of black leather and crystals. 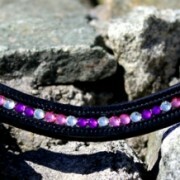 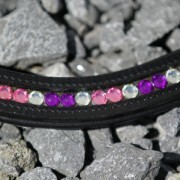 The browband is softly padded and has a Wave shape. 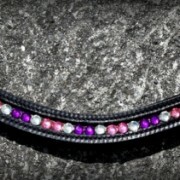 All browbands are custom made and take about a week to finish. 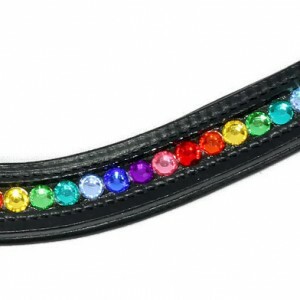 If you require additional sizes and colours please get in contact via the Product Enquiry tab.